Deep Blue Sea, Renny Harlin’s 1999 sci-fi/horror fest that was unleashed during a pretty loaded summer season, is a concept that would seem right up the alley of a Syfy original. For those unfamiliar with it, here’s the gist. In an effort to cure Alzheimer’s, a team of scientists working on a floating laboratory named Aquatica in the middle of the ocean have genetically engineered a trio of Mako sharks whose brain tissue fluids, once drained, serve as the key to unlocking the cure. Unfortunately, the sharks’ increased brain size only results in making the beasts even smarter, and it’s not long before the sharks enact a plan to gain their own freedom by picking off everyone they can and sinking the facility itself in the process. As you probably know, there’s nothing deep about Deep Blue Sea. It knows it’s not Jaws, and doesn’t care at all that it isn’t. It’s a movie about three insanely smart, incredibly dangerous sharks and the people desperately trying to find a way to survive what’s happening, and once that entire premise is in place and all hell breaks loose, there’s nothing more to it, leaving the rest of the film to exist purely as a rollercoaster ride filled with thrills punctuated only by the briefest moments of breathing room. It’s entertainment in its purest form, allowing you to turn the brain off without also causing you to roll your eyes, the film taking its concept seriously enough to keep the whole thing from steering into outright ludicrous territory. 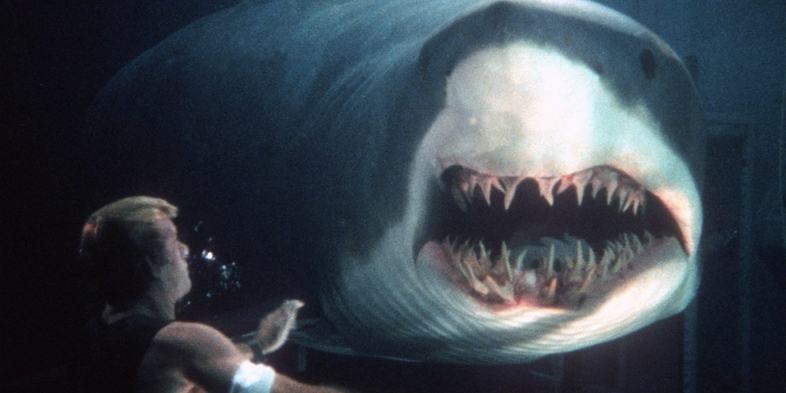 So, it’s with much excitement that we can tell you today that a sequel to Deep Blue Sea is now in development. It won’t be going to theatres, though. Instead, it’s being produced as a Syfy original. How appropriate, right? Not much is known about the plot at the moment, but from what we understand, it’ll revolve around “a scientist conducting experiments on bull sharks.” Naturally, this doesn’t go according to plan and eventually, the sharks escape – and hell breaks loose. Directed by Darin Scott, and starring Michael Beach, Syfy hasn’t revealed any further casting details, nor have they announced a premiere date for the project just yet. The film is in development though, so we imagine it’ll crash onto television screens either in late 2017 or perhaps early 2018. Either way, we’re definitely getting a sequel to Deep Blue Sea and for the millions of people who consider the movie a guilty pleasure (like myself), that’s certainly a good thing.